Buying a new home is exciting, but it can also be overwhelming. Here's a list of tips to help make your home buying experience more pleasant. If you're thinking about buying a home, you'll want to carefully choose the real estate professional you work with during the process. You should commit yourself to working with one sales associate who can learn your likes and dislikes in homes to make your home-buying process easier. Choose a professional who specializes in residential real estate and who has specific knowledge of the local real estate and mortgage markets. Even if you're sure you have excellent credit, it's wise to double-check at the outset. Straightening out any errors or disputed items now will avoid troublesome holdups down the road when you're waiting for mortgage approval. You may see disputed items, in addition to errors caused by a faulty social security number, a name similar to yours, or a court ordered judgment paid off that hasn't been cleared from the public records. If such items appear, write a letter to the appropriate credit bureau. Credit bureaus are required to help you straighten things out in a reasonable time (usually 30 days). TIP: Make sure that any outdated derogatory entries are deleted from your credit file. Adverse credit information is not supposed to be reported or included on your credit report after seven years (except bankruptcy information, which can be reported up to 10 years). TIP: Officially cancel inactive credit cards. If you have an inactive credit card with a $5,000 limit, even though you owe nothing on it, some mortgage lenders will consider that a potential future debt. Too many inactive credit cards with significant credit limits could keep you from obtaining a mortgage loan. Don't just cut up your extra cards; officially cancel them, and do it now so there will be time for the news to reach the credit bureaus. TIP: Hold off on making any major credit card or car purchases while you're waiting to apply for a mortgage. Monthly payments you're obligated to pay will be counted against you, and reduce the amount of the mortgage loan you'll be offered. 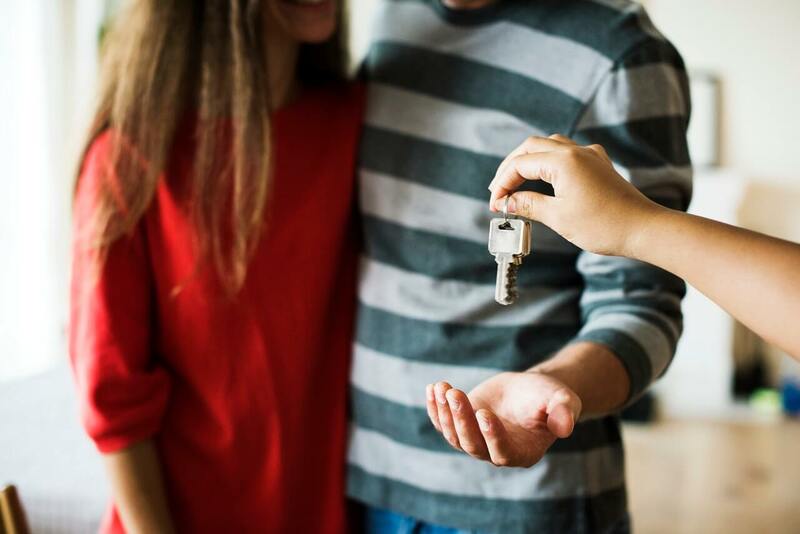 Even if you've been pre-approved for a mortgage, that approval is subject to last-minute evaluation of your financial situation, and a spending spree for appliances, furniture and other goodies intended for your new home may wreck your chances for buying it. A real estate professional can help "pre-qualify" you for a mortgage before you start house-hunting. This process includes analyzing your income, assets and present debt to estimate what you may be able to afford on a house purchase. Mortgage brokers, or a lender's own mortgage counselors can also calculate the same sort of informal estimate for you. Obtaining mortgage "pre-approval" is another thing entirely. It means that you have in hand a lender's written commitment to put together a loan for you (subject only to the particular house you want to buy passing the lender's appraisal). Pre-approval makes you a strong buyer, welcomed by sellers. With most other purchasers, sellers must tie the house up on a contract while waiting to see if the would-be buyer can really obtain financing. The down side is that you may pay application fees to cover the lender's paperwork in verifying your employment, income, assets, debts and credit rating. If you later decide not to use that particular lender, you'd have to start all over again elsewhere - with no rebate. Pre-approval will also speed up the entire mortgage procedure once you've found the house you want. The only remaining question will be whether the house will "appraise" for enough to warrant the loan. The web is one of the best ways to search for homes today. With this website, you can receive daily emails with new and updated listings from the towns and price range of your choice. Search the entire MLS for all homes, condos, land, multi family, commercial properties, and past solds at your convenience. View full listing sheets showing amenities, taxes, lot sizes, beds, baths, rooms, siding, fireplaces, garages, room sizes and much more. Get property address and see where the properties are located on MapQuest. Check schools and community profiles of your preferred towns. Save preferred listings in your own file to view anytime. Calculate approximate mortgage payments for specific properties. Once you have made an offer on a home, you will need to schedule a home inspection, conducted by an independent authorized inspector. It is extremely important to hire a reputable inspector so that you know exactly what you are buying. Do not hesitate to ask friends, family, and co-workers for advice. If you are satisfied with the results of the inspection, then you can proceed to the Purchase and Sales agreement. If the inspector finds problems with the property, you may want to negotiate with the seller to lower the price, or to pay for certain repairs. Your lender may require you to get an appraisal of the house you want to buy, to make sure it is worth the money that you are borrowing. You may select your own appraiser, or you may ask your real estate broker to help you with this task. Lenders require that you have homeowners insurance, to protect both your interests and theirs. Like everything else, be sure to shop around for insurance that fits your needs. Finally, you are ready for the closing. Be sure to read everything before you sign! You should have both your real estate broker and an attorney present at the closing to ensure that all is in order. Making sure you end up with the right home involves figuring out exactly what features you need, want and don't want in a home. Before starting your search, you should make a "wish list" to decide which features are absolutely essential, which are nice "extras" if you happen to find them, and which are completely undesirable. The more specific you can be about what you're looking for from the outset, the more effective your home search will be. Also keep in mind, that in the end, every home purchase is a compromise. Create your own personalized "wish list" and when you're finished filling it out, share it with your real estate agent. To contact me, click the button below!